Few buildings stand as a monument to human achievement as strongly as castles do. In England, they were built by invading armies as strongholds to defend their new territory. In Medieval times, castles were the ultimate prize. Capture a countries castles, and you’ve captured a countries people. So they needed to be strong and imposing castle. So strong that many of these castles still stand today. Some are maintained by official organizations but others have been long abandoned. Abandoned castles don’t tend to be in good condition but some are in good enough condition to visit. All over the world there are abandoned castles just waiting for humans to encounter. They weren’t all built in the middle ages – the Victorians were prone to building castles as romantic gestures. Here are 10 amazing abandoned castles. 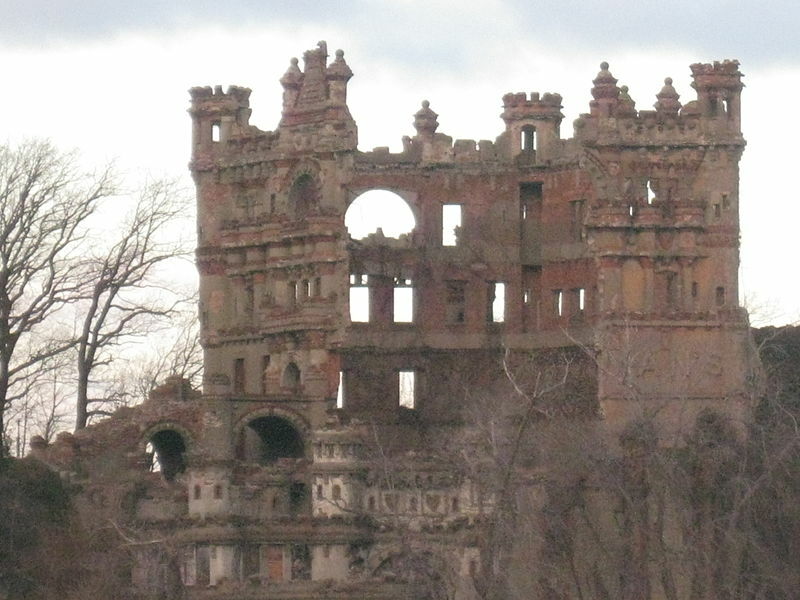 Bannermans’ Castle stands on a tiny island in the middle of NewYork’s Hudson river. The island is surrounded by a legend that a young girl once became stranded there. She died on the island and her ghost has haunted the castle ever since. But that’s just a story. The castle was built by a Scottish businessman in 1901 for his personal residence, and to store the military supplies his business was based on. But he died in 1918, the no one has cared for the castle since. It just stands on the island, falling apart. It was mostly destroyed by a fire in the 1960s, and is now closed to the public. But it can still be seen from the mainland. 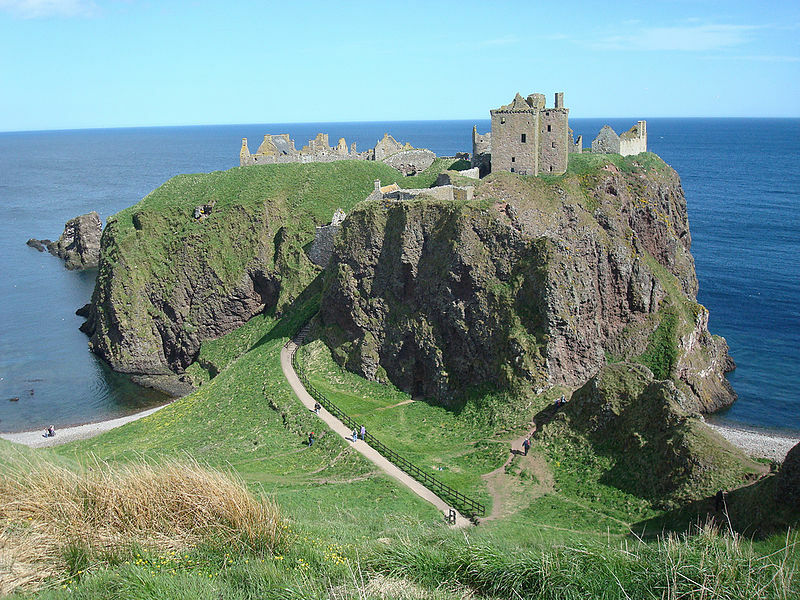 As far as abandoned castles go, Dunnottar Castle is the apex. It your classic medieval fortress, being highly defensive and strategically important. It was important if you wanted to control eastern-Scotland and was therefore targeted by rebel fighters many times. It was owned and lived in by a earl, who lost his title and land after getting involved with a rebellion against the king in 1715. The rebellion obviously failed so there was no one to look after the castle. It was finally abandoned three years later in 1718. 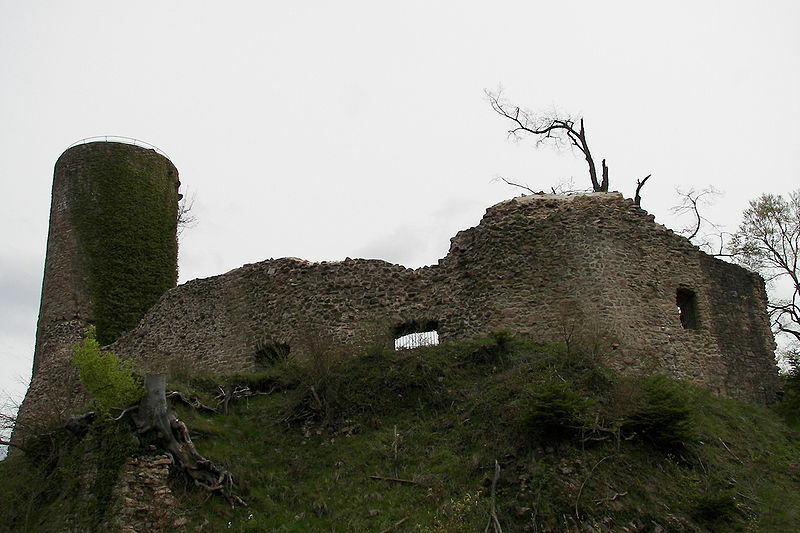 Today, anyone can visit the castle – what’s left of the castle at least. 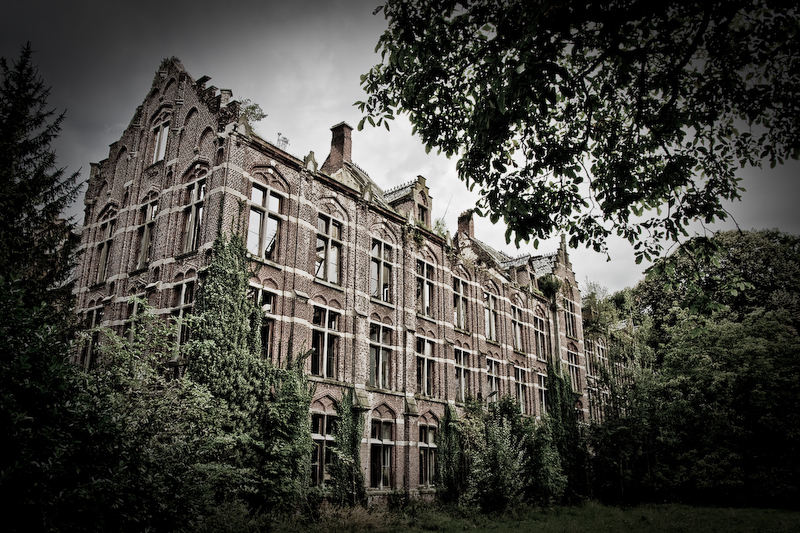 Kasteel van Mesen is a long abandoned castle in Belgium. It was built about 11 hundred years ago as a stronghold against Norman invaders, the type who has recently taken control of England. From then on it was owned by wealthy Belgian lords until the 19th century when it was strangely transformed into a boarding school. It served as a school until the early 1970s, when it was simply abandoned. And since then no one has cared for it. It’s terrible to see such a historic building simply be abandoned and neglected, but the fact the it’s abandoned seems to add something more to it. 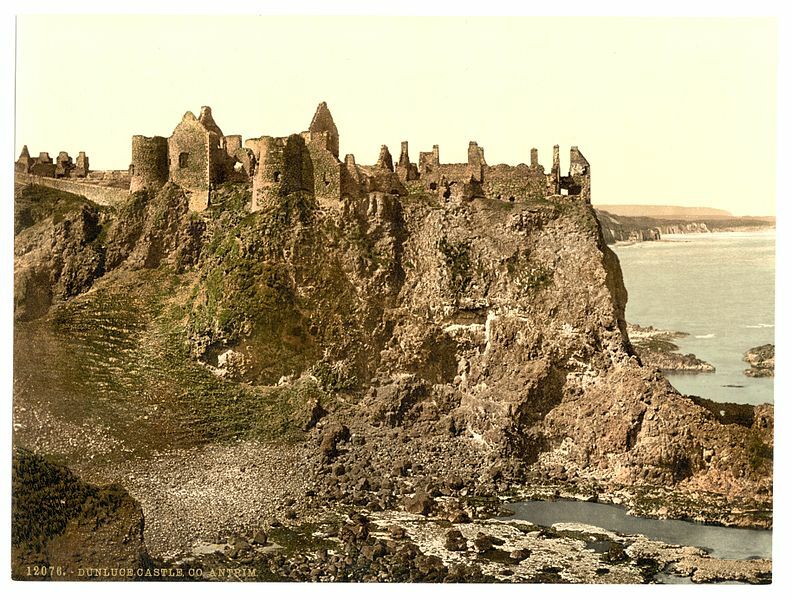 Dunluce Castle is a ruined castle in Northern-Island. The current castle was built in the medieval period, but the land was used for previous castles long before this. The castle was traditionally owned by the McQuillan family, who lived there until the late 16th century. After that, it fell to the MacDonnell family. Legend tells that the castle is haunted by the ghosts of the McQuillan family who refused to allow anyone else to own it. The castle is built on a cliff side, with steep drops surrounding all sides other than the entrance. This made the castle incredibly secure, and made things difficult for those wanting to capture it. Sausenburg is an interesting little castle in southern Germany. It was built in 1246 by powerful counts, because that’s what counts do. The counts power grew from there, but their dynasty eventually died out around the mid-15th century. So the castle was left to another family. They lived there eacefully until the beginning of the Franco-Dutch war in 1672, when it became a building of strategic importance. Because of this, the castle was mostly destroyed and set on fire in 1678. The castle has been abandoned literally since then. It just stands there, an empty shell of what it once was. I’m just impressed it’s still standing strong after it’s destruction and hundreds of years of neglect. Pidhirtsi Castle is a residential castle in the Ukraine, which just means it’s a castle built to be lived in rather than to withstand military sieges. History forgets who designed the castle, but it was built in the 1630s. 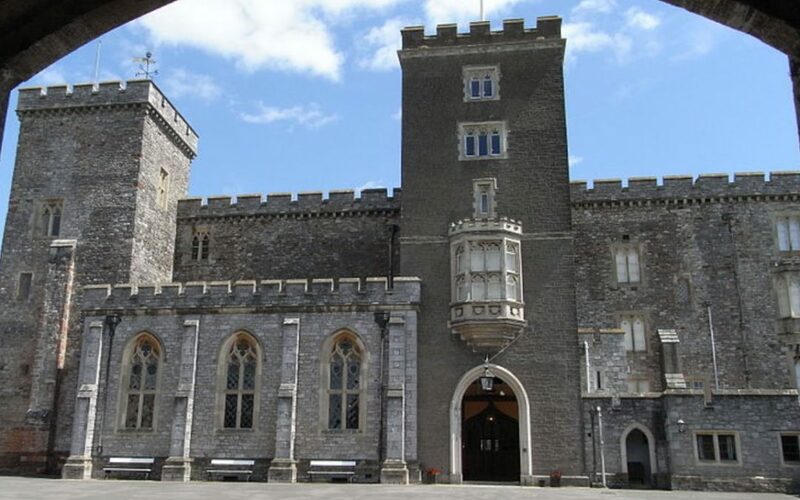 Despite being a residential castle, it was attacked in 1648 by anti-government rebels. But they failed to capture the castle, and then failed to capture it again 3 years later. It’s certainly among the most secure and strong residential castles in Europe, which was further shown when it withstood several more attacks in the succeeding centuries. It was captured by the Russians during the first world war, and was severely damaged by communist rule. It was abandoned after the fall of the Soviet Union. Castle Mont Rouge is built on top of a mountain in North-Carolina. The castle was only built back in 2005, and it’s already become completely abandoned. I guess it’s just difficult to maintain a castle high in the mountains of a barely-populated settlement. The exact reasons for it’s abandonment is unclear, but it happened in 2008. There have been several plans to maintain the castle and turn it into a landmark – but nothing ever came of those plans. The inside of the castle is a complete wreck as it’s since been a destination for vandals. To be honest I’m surprised there are any abandoned castles that haven’t been damaged by vandals. 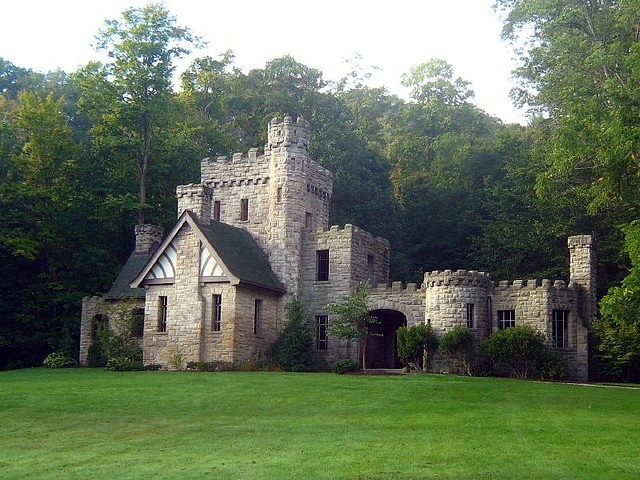 Squire’s Castle is yet another castle built as a romantic gesture. It was constructed in the late 19th century for Feargus Squire, which is obviously where it gets it’s name. It was actually built to house the groundskeeper of the much larger building he was planning in the same area. The larger building was never built, leaving the first building without purpose. The it was sold to someone else in 1922, but no one really took care of it. So today it’s just still standing there abandoned. Anyone can easily visit the castle now, although it’s probably the least impressive castle you’ll ever see. Local legend tells that the building is haunted by the wife of Feargus Squire. 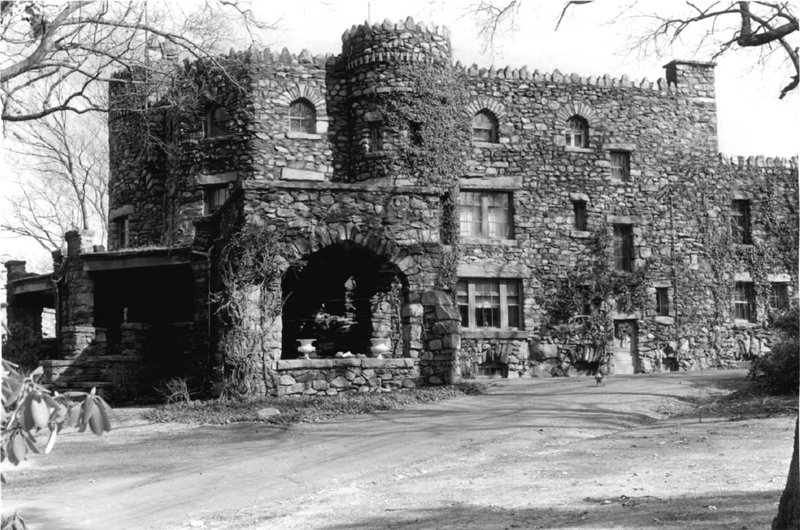 Hearthstone Castle was built in the 1890s, like so many other American castles. It was built for a painter but it was soon sold to a wealthy businessman at the turn of the century. Over the next 80 years or so it was passed through several different owners, before it’s last owner died in 1985. So the castle fell into a state of legal unclarity. No one really owned it, or knew what to do with it. So it wasn’t taken care of. Today, it’s a complete wreck, being closed off as it’s too dangerous for visitors. Miranda Castle is a Victorian castle in Belgium. It’s probably the most well known and beautiful of all abandoned castles. 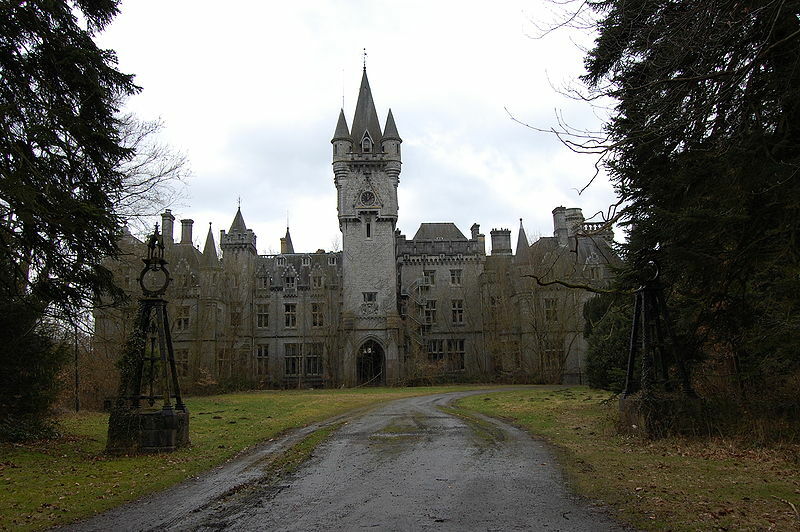 It was built for a powerful family who were forced to abandon their previous castle way back in the French revolution. It’s ironic that their new castle also ended up an abandon ruin. They were forced to abandon the castle during the second world war when it literally became part of a battlefield. And right now it’s just an abandoned wreck.